Changes in total phenolics content (TPC) and total antioxidant activity (TAA) in different morphogenic stages of Tacitus bellus (L.) Moran and J. Meyrán (Crassulaceae) direct shoot organogenesis in vitro were examined. A HPLC method was used for the assessment of changes in phenolic profile. 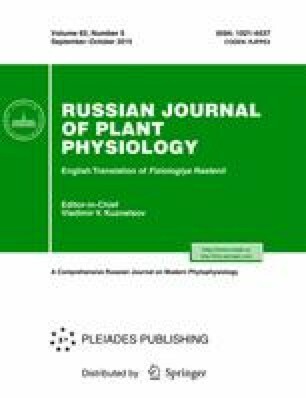 Significant decrease in TPC and TAA, as well as the decline of the amount of specific phenolic compounds coincided with the initiation of shoot organogenesis. Additional decrease in TPC and TAA, and the disappearance of procyanidin glycoside, occurred associated with shoot development. Performed correlation analysis suggests phenolics as the main component of nonenzymatic antioxidant system involved in T. bellus direct shoot organogenesis, it argues in favor of involvement of specific phenolics in the regulation of early stages of T. bellus direct shoot organogenesis and indicates different fine regulatory mechanisms of early and late stages of shoot organogenesis.